Two Anne Arundel County marinas earned Maryland Clean Marina awards after passing a voluntary evaluation and inspection by the Maryland Department of Natural Resources. 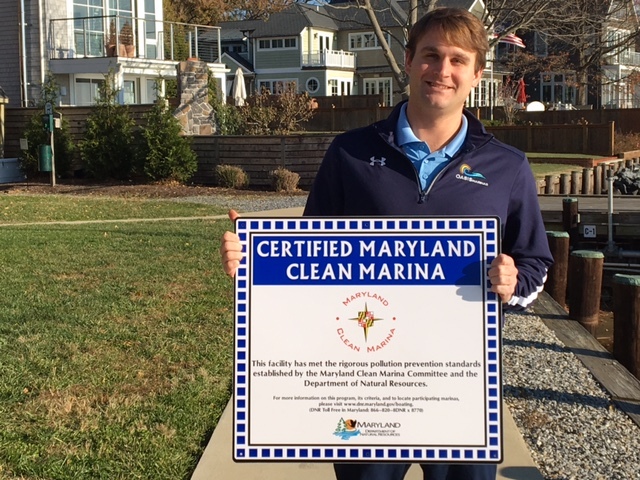 Horn Point Harbor in Annapolis and Pleasure Cove Marina in Pasadena both met the criteria checklist, bringing the total number of Maryland Clean Marinas and Partners to 152. In Anne Arundel County, 48 of the estimated 165 marinas are certified clean marinas. Department staff and a manager of another certified clean marina evaluate each potential boatyard or marina on areas such as boat maintenance and repair, emergency preparedness, petroleum control and stormwater management. To pass, the marina must score between 70 and 85 percent in each area of the checklist by implementing practices from the Maryland Clean Marina Guidebook. Marinas are re-inspected every three years to ensure continued compliance. The Maryland Clean Marina Initiative was developed in 1998 by a committee of academics, boating industry groups and organizations, boatyard and marina operators, and local and state governments with the goal of reducing nonpoint source pollution from marine facilities and recreational boats statewide. To learn more about the program or to seek certification, please visit http://dnr.maryland.gov/boating/pages/cleanmarina.